Home security has been one of the main niches of the smart home industry. But how does the technology stand in 2017? What are the best new inventions? We decide to tackle these issues by giving a check with the best home security camera systems for 2017. 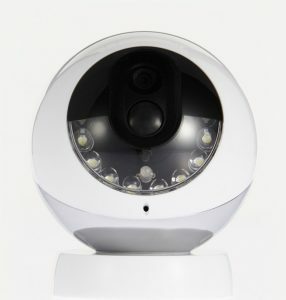 Wireless security cameras and closed-circuit television cameras have been around for decades. In fact, they can be considered part of the foundation of the smart home industry. Implementing wireless technology in the home for security reasons has been an ongoing trend ever since the late 1990s. However, as time goes on and technology gets better, so do home security camera systems. In fact, today, some security cameras give you the convenience of having a high photo and video quality, ability to check in with your camera and control it through your smartphone, as well as give you further details with regard to the security of your home. In fact, being a part of the home automation ecosystem, smart security cameras are able to give you notifications, start an alarm or basically take action by giving commands to other devices connected to your smart home system. Nevertheless, before you get all tingly, and get creative and start your mind-master mindset, you should first choose a great camera that gives you the required capabilities that should be mandatory for a smart home device today. In order to help you out and because 2017 is coming in its third quarter, we’ve gathered a list of what we believe to be the best smart home security systems for 2017. We’ll try and keep this list updated as new devices appear on the market. 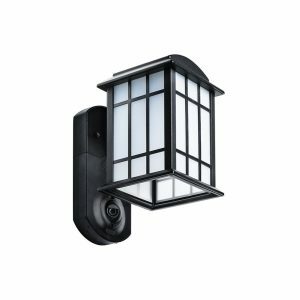 If we are talking about the best fully-featured home security camera system, then Icontrol Networks Piper NV is definitely it. Coming at a rather affordable price, the smart camera offers 1080p live video resolution, a field of view of 180 degrees and a number of additional features, such as alarm, two-way audio, digital zoom, pan and tilt control and night vision. While the software of the camera needs some upgrading, the app is nonetheless quite straightforward and easy to use. Of course, we can’t mislead you that one of the main reasons it was our top pick is the fact that the Icontrol Networks Piper NV works with both Z-Wave and WiFi. That’s right! At an affordable price, you will have a great smart home camera that easily connects to your Z-Wave hub. If you don’t have one, be sure to check out our best Z-Wave smart home controller for 2017 smart hub guide, where we’ll help you out in choosing one. Nest Cam is a great choice if you are looking for a DIY home security camera. With a magnetic base that allows you to put it pretty much anywhere, and completely wireless, the Nest Cam also offers high-resolution 1080p video and a pivoting stand. What is great about this camera is that it has an extremely intuitive app, that is easy to use. 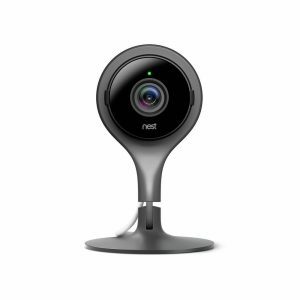 With both an indoors and outdoors option, The Nest Cam is definitely one of the best home security camera systems available on the market today. If you are looking for an affordable low-maintenance security camera for the indoors, you should certainly check out the Homeboy. A battery-powered camera that has a ton of smart features, including IFTTT support, that will make your life a little more secure. Furthermore, relying on a great design and certain DIY features, the Homeboy is able to be put either pretty much anywhere indoors, and if you are a better DIY specialist, you can even put it outdoors, making it a perfect choice for anyone. Similarly to the Homeboy, Arlo is a completely wireless low-maintenance camera. However, it is packed with a number of more features. Rather expensive, the camera has the unique feature to automatically interconnect with other Arlo cameras and you will receive further discounts for purchasing Arlo, making it worth the price for a fully-featured smart home security camera system for 2017. 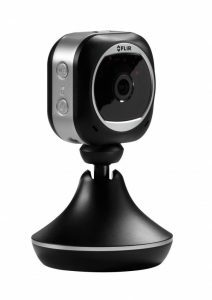 Furthermore, among other features, the Arlo smart camera is able to record and stream full 1080p video with great quality. 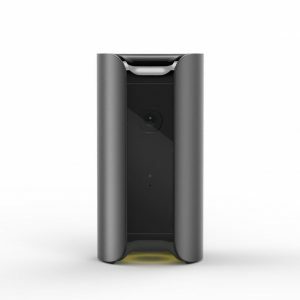 One of the best home security camera systems on the market today, Canary All-In-One Home Security Camera System aims to be more than a camera. The device includes motion-activated recording, a 90+ dB siren, HomeHealth Technology for monitoring the air quality, temperature and humidity and a number of other great features. Furthermore, with 1080p HD live streaming, you won’t have to worry about resolution as well. A slight drawback of the device is the fact that it has a 147-degree wide-angle lens, but the bigger negative is the fact that its software, while both Android and iOS supported, isn’t top of the line. While most if the best home security camera systems for the smart home take the regular approach when it comes to design, Kuna goes one step further. A mix of a camera and a light, the outdoor camera will never be obvious to your potential intruders. Standing out from the rest with its innovative design, Kuna is nevertheless an amazing outdoors security camera for the smart home. It gives you full HD live and recorded video, acts as a two-way intercom and has multiple other features. Nevertheless, it is its innovative great design that makes it stand out from the rest. 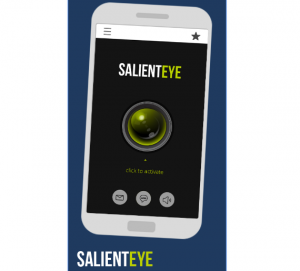 If you have a spare android smartphone, you should definitely check out Salient Eye. A free android app, Sailent Eye lets you convert your old and spare Android device into a DIY smart home system. While extremely limited to the capabilities of the spare device, the software is nonetheless worth mentioning. Zmodo Pivot is a full HD wireless 1080p camera requiring low-maintenance. Easy to set-up and 360-degree motion detection alerts, the wireless security camera is a great choice for those who want a number of features at an affordable price. Granted, at this price rate, some of the advertised features of the camera, including the Bluetooth speaker and the sensor alerts don’t work properly all of the time. Furthermore, lacking Night Vision and other more high-end features might be a big negative for some. Nonetheless, the device is a great camera for the price. A battery-powered low-maintenance DIY camera, the Logitech Circle is a great smart home camera with intercom features. Furthermore, Logitech offers you free cloud recording and storage for up to 24 hours, but if you want to add further cloud storage space, you would need to spend some extra. 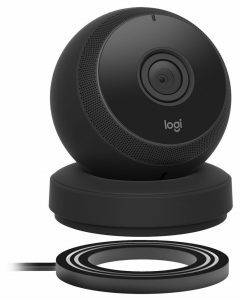 One the more expensive end, the Logitech Circle has all the features you could expect from a smart home camera, including smart home apps that let you easily and simply control it. A great indroor Wireless camera, Flir FX is able to stream 1080p full HD video live. 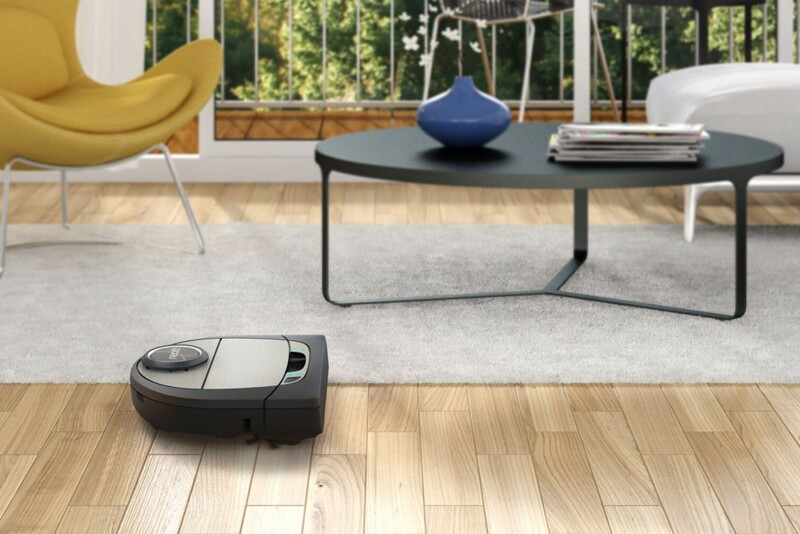 Furthermore, it comes with a number of different features, including a multitude of sensors for humidity, temperature, sound, motion and more. Quite easy to set up, the Flir FX is definitely worth checking out. There are multiple features that the best home security camera systems should have in 2017. 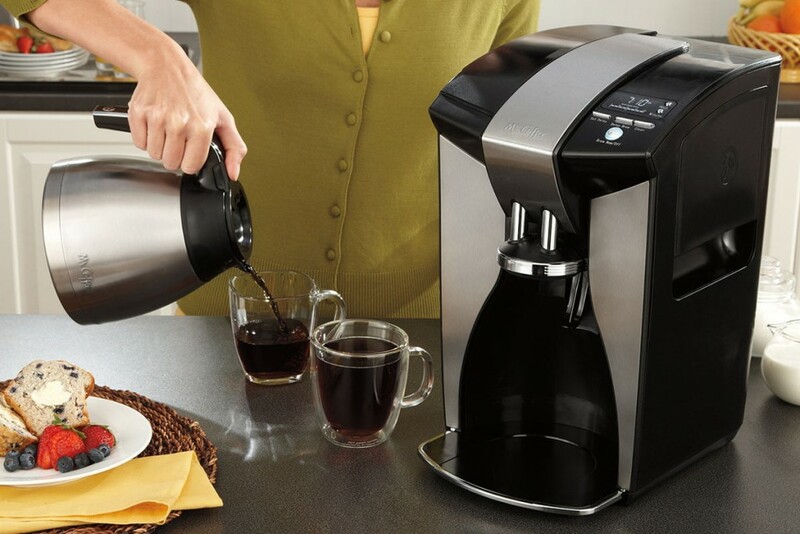 Just some of them include motion detection, WiFi Capability and more. Here are a few quick tips on features you should look out for when purchasing a smart home security camera in 2017. 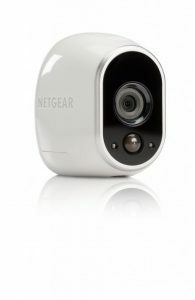 Resolution – The resolution of a smart home security camera in 2017 is a vital part of deciding which camera you should get. Defining how clear the image from your camera is, to better identify items and faces, the resolution of your camera should be no less than 720p, with 1080p being the current standard. Sound – While not compulsory, for 2017, it is quite mandatory for a camera to be able to receive sound via microphone. Furthermore, some cameras both emit sound via a speaker and receive input via a microphone and can further act as intercoms, so if that is what you are looking for, be sure to check out the sound features of a camera before buying it. Field of View – While resolution and sound are quite general, a feature you should take note of when searching for your pick for the best home security camera system of 2017, is the field of view. This represents the width of an area the camera can record. If you want to invest in fewer cameras, be sure to look for one that has a greater field of view so that it can capture more of your home. Motion Detection – For a camera to be smart, it needs to have a few better features. Motion detection, found on most security cameras today, can be a dealbreaker if not featured on a camera. Movement – If you want to have better control over your camera, especially if it is an indoors one, be sure to look out whether it has movement capabilities or not. Wi-Fi (or other Wireless) Capability (Capabilities) – Another feature a camera should have to be considered part of the smart home ecosystem is Wi-Fi capability. If you don’t want to get messy with wiring, make sure to look out for a camera that has some sort of wireless connectivity included. Overall, Smart Home Security Systems are becoming better with the day. Even if you have an old system, you might want to consider upgrading to a newer one, as the difference in quality does matter. Furthermore, nowadays most of the best smart home security camera systems come at a rather affordable price for the features they offer. Nevertheless, make sure you choose the right one. We hope we have helped you make the right choice. If you have another smart camera on your mind that wasn’t featured on our list, make sure to comment below. How does the Nest Outdoor camera stack up with the other options & competition? Woow!!!! Your content is so amazing and informative. Thanks for sharing it. Well done!!!!! !